Media has always been a catalyst in improvising the society by playing effective role to form the public opinion. As a result, Media- the Fourth Pillar of Democracy carries a lot more responsibility when they dispose any content to the public. Such a community of people taking charge of being the watchdog to protect public interest must be well versed and trained in duties and responsibilities. Imparting a vibrant form of learning to make these watchdogs the best in the industry is the motto of Azaz Rizvi College of Journalism and Mass Communication (ARCJMC). "Established with the purpose of 'Instilling soul into media education', our focus is on creating leaders through proper guidance and not just swelling the journalist's community," says Asif Z Rizvi, Director, Azaz Rizvi College of Journalism & Mass Communication. ARCJMC was established in the year 2005 by the visionary Late Prof. Sheema Rizvi to impart quality media education to the young generation, emphasizing its practical aspect. The institute offers long-term courses as B.A in JMC, M.A in JMC, PG Diploma in JMC - 12 months (autonomous). The institute also offers 18 months PG Diploma in JMC (autonomous) with specializations in Print/Electronic Media, Advertising & PR which is upgradable to Master's degree course; short-term courses on RJ & News Anchoring, Video Editing and Media Writing. Rizvi mentions, "At ARCJMC, students are taught an industry oriented curriculum with focus on practical inputs rather than theoretical knowledge. Our vision is to elevate the standards of media education with a stout curriculum that is rich in substance and applicable to the industry standard." Since the curriculum is considered the most important part of the academics, the institute emphasizes on the importance of understanding the concepts, learning the basics and making them reason out the issues prevalent in the society, which should be the primary concern of a student. 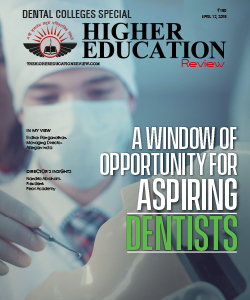 Rizvi adds, "From day one, students are motivated to learn from every step that they take here and not just merely clear examinations for the sake of receiving a degree. Our motive is to intrigue their minds to think out of the box and impart a feeling of competitiveness amongst these students." Supporting this thought, the institute arranges various industry seminars, interactions, workshops, assignments guided by working professionals from the media industry such as Print/Electronic/Advertising & PR/Web/NGO and are continuously assessed on their performance. The faculty members mentor the students very carefully to make them aware of the knowledge, skills and the right attitude required for the profession. Student to Faculty Ratio at ARCJMC is 15:1, making an apt equation to build up a strong relation between them. ARCJMC conducts pre-placement activities throughout the year, which involves them in facing the industry from a closer proximity and the industry too could easily judge their hidden talents thereby direct them towards a rewarding career. 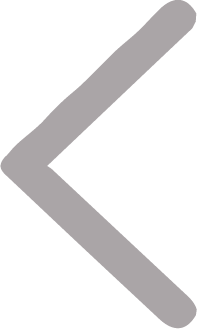 The alumni of ARCJMC is placed in a number of reputed media organizations such as AAG, Voice of Lucknow, Hindustan Times, Punjab Kesri, Grey RC&M, E-TV, AIR, Lokmat, Kanwhizz Times, Zee News, Swatantra Bharat, Aaj, Doordarshan, ABP News, Business Standard, Amar Bharti, Dainik Jagran, Hindustan, Punjab Kesri, Radio Mirchi, AcharyaShri Inc. and India Media Relations (IMR PR). 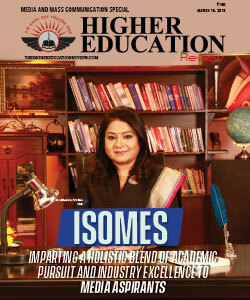 "We do not have any formal tie-ups with industry as we believe that we live in a dynamic world where CHANGE is constant and rather than opting to increase industry exposure the credibility of an institute lies in producing 'Job -Ready' students. Therefore, we have secured successful record of 70 percent placement every year with students bagging annual packages ranging from Rs. 1.80 - 3.96 LPA," adds Rizvi. The founding member of the institute is a living legend - Padamshri Prof. Emeritus Asifa Zamani (MA - Urdu, Arabic & Persian), LLB, Ph.D., D.Litt. Ex HoD, Persian Deptt. Lucknow University) who is a well known Persian scholar & 'A' grade artist of Akashwani. The Chief Mentor, Ratan Mani Lal - Journalist with over 40 years' experience of working in mainstream English and Hindi newspapers gives constant inputs in the syllabus & makes a point that we keep it at par with the changing trends of the media industry. 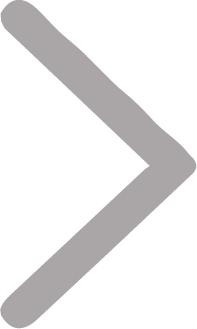 In the past, ARCJMC has been awarded by big & reputed media houses like ABP News (twice), ET Now, DNA for 'Quality in Media Education' & for imparting 'Industry Related Academic Input Curriculum in Communications Management'. 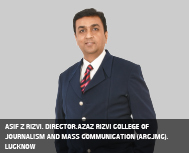 At present, Azaz Rizvi College of Journalism & Mass Communication strives to become one of the top media schools of international repute, hence creating a niche for themselves in the fields of media education. While, there are many temptations to encourage yellow journalism, sensationalism, click bait and many more to destroy the essence of journalism once a student sets foot in this career, ARCJMC alumni makes their own mark in the media industry in the most pure way. They represent a group of journalist who have true knack for their profession and are a genuine breed of watchdogs noting the well-being of the society. A throughout topper and gold medalist in PG Diploma (Mass Communication), MBA (Marketing), LLB & Geography Hon's graduate from AMU, Aligarh, Rizvi has a corporate experience of over 21 years and 12 years of teaching experience in organizations and institutions of repute. He believes, "The biggest challenge to media men of tomorrow is to ride change. It's imperative that they develop competencies that are timeless, environment independent and indeed inherently evolutionary."